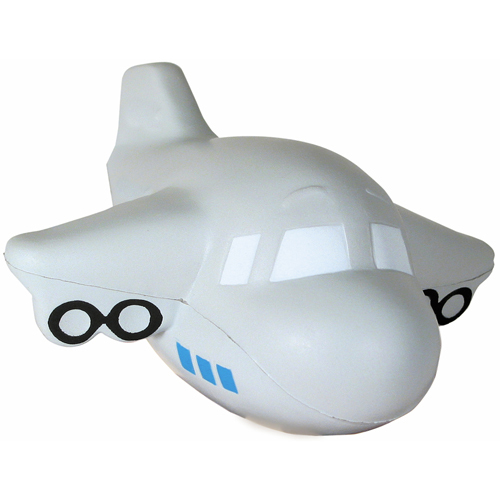 Air plane shaped transportation stress reliever will help aide that nervous passenger or when that important client s flight being delayed. They can simply squeeze and relieve their stress away with your company to thank! Continue promoting your brand at the next promotional event! Products are not intended for use by children or pets. They may present a choking hazard to children under 3 years of age. Item Size : 5" x 2.5"